Ignacio Donoso (Discussion Leader) is nationally recognized as a leading EB-5 attorney. His practice is dedicated exclusively to the area EB-5 investment visas. Ignacio advises developers throughout the U.S. on the formation of EB-5 Regional Centers, and has successfully advised hundreds of individual EB-5 investors in the EB-5 visa petitions. Ignacio A. Donoso is a founding Member of I.A. Donoso & Associates. 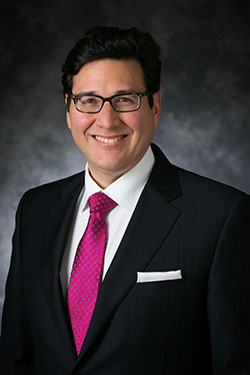 He was previously a Partner of FosterQuan, LLP, one of the top immigration law firms in the U.S. Ignacio’s career spans 18 years as a member of the State Bar of California, dedicated exclusively to investment projects and investment visas. Ignacio worked for years with some of the largest global law firms structuring and closing large international transactions worth hundreds of millions of dollars. Ignacio has been dedicated exclusively to U.S. immigration law since 2003. Since 2008 has been recognized as a Board Certified Specialist in Immigration and Nationality Law by the California Board of Legal Specialization. Ignacio has been a member of the American Immigration Lawyers Association since 2003, and has been selected to serve in high-ranking positions including the prestigious Texas Service Center Liaison Committee in 2008-2009. In 2013, Ignacio was again selected by the American Immigration Lawyers Association to serve on the National EB-5 Committee. Ignacio manages an EB-5 practice that has advised over 25 EB-5 Regional Centers on the formation of new Regional Centers and development of new projects. Ignacio has advised over 2,000 EB-5 individual investors on their EB-5 visas. Roger Christoph is is the founder and Managing Partner of Keystone Solutions, Inc. a Midwest-based financial boutique that provides global investment banking, money management, and private capital raising services. In addition, Mr. Christoph is President of Christoph Securities, Inc. formerly a registered broker-dealer with FINRA and the SEC. He has over 35 years of experience in the financial industry that includes private equity, investment banking, portfolio management, trading, and financial operations. In addition, he was lead compliance officer overseeing SEC and FINRA reporting. As Founder and CEO of Great Texas Regional Center, he shares responsibility for the general management, investment policy and transaction origination. His experience allows him to follow an extensive due diligence process to understand the business fundamentals and identify opportunities for the regional center. He will be actively monitoring the portfolio companies and pursuing new investments for the regional center. Coleen Danaher is the Vice President of Busienss Development for NES Financial, specializing in EB-5 administration solutions. Possessing over 20 years of financial experience with 1031 tax deferred exchanges and EB-5 transactions, she has worked with a wide range of industries, including financial institutions, real estate, and oil and gas. In the EB-5 sector, specifically, Coleen has been deeply involved with all aspects of the program for over five years. Working with Regional Centers, developers, and investors, she is extremely knowledgeable about EB-5 escrow, fund, and loan administration as well as the EB-5 visa process. Coleen has authored several articles and blogs and is a frequent presenter at events across the country. Benjamin Hu is an Senior Attorney with I.A. Donoso & Associates, LLC. Benjamin Hu has experience in employment-based immigration, family-based immigration, and EB-5 investor immigration. Before joining I.A. Donoso & Associates, LLC, he was Of Counsel attorney to a law firm specializing in U.S. immigration law. 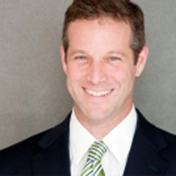 He has been practicing law since 2009, and is licensed in Maryland and the District of Columbia. He has lived in the United Kingdom, mainland China, and the U.S. He is fluent in English and Mandarin Chinese, and is proficient in German and French. Lee Li is a Policy Analyst at Invest In the USA (IIUSA). He lead the creation and analysis of IIUSA interactive EB-5 project/TEA map and corresponding analytics that have been instrumental to the legislative process this year. 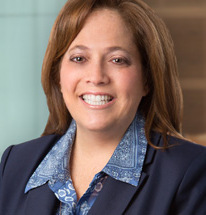 Dawn Lurie is a shareholder at Polsinelli, PC. She is recognized in the legal community as a sophisticated and forward thinking immigration compliance authority and EB-5 investment strategist. She focuses on visa and compliance issues. Dawn is proud to be considered a trusted partner to corporate clients and is relied on for her ability to spot impending government enforcement trends. She has represented clients in the EB-5 program since the early years of the program's inception, in the 1990s. Her experience has evolved over the last two decades as the EB-5 program progressed from an obscure means of obtaining U.S. residency, to a viable mechanism of funding a significant portion of the capital stack for large-scale projects and infrastructure building across industries. Attending EB-5 Board hearings in D.C., participating in the stakeholder conversation process with the USCIS and advocating for EB-5 immigration reform, provides her clients with a unique Washington perspective. Dawn serves on the EB-5 trade association's (IIUSA) Best Practices Committee and is a past Chair of the DC Chapter of the American Immigration Lawyers Association (AILA). 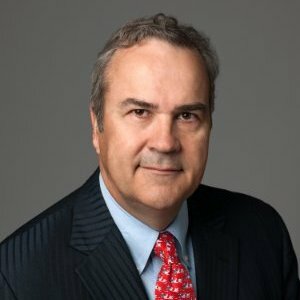 David M. Morris is a nationally respected EB-5 immigration attorney and manager of the Visa Law Group PLLC law firm in Washington, D.C., a national law firm practicing exclusively in the field of United States immigration and visa law with offices in New York City, Denver, Toronto, and Dubai (UAE). Attorney Morris has been practicing law since 1992 and has frequently represented domestic and multinational businesses and professionals regarding a diverse range of immigration and visa matters for over 20 years. His work has a distinct emphasis on the representation of clients involved in areas of investment, life sciences, and information technology. 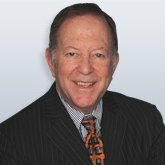 Jerry Siegan is the founder of the Law Offices of Jerold N. Siegan in Chicago, IL and has practiced law for more than 30 years. His practice is concentrated in the areas of corporate, securities, and business transaction law, with an extensive focus on federal and state securities law compliance, which includes exempt securities offerings (including Regulation D and Section 4(a)(2) private placements, Regulation S offerings and Regulation A offerings), EB-5 offerings, real estate syndications, hedge fund and investment fund syndications, technology company offerings, registered public securities offerings, private investments in public equity (PIPEs) and SEC periodic reporting compliance, and securities broker-dealer compliance with applicable FINRA and SEC rules and regulations. Mr. Siegan also has extensive business transactional experience including mergers, acquisitions and dispositions, corporate structuring, corporate governance matters, reverse acquisitions/mergers, venture capital and corporate finance transactions, negotiating and documenting asset and stock acquisitions and sales, joint ventures, bridge loans, going private transactions and other business transactions. Dennis Tristani is a Senior Attorney with I.A. Donoso & Associates, LLC. Dennis has experience in employment-based immigration, family-based immigration, removal defense and EB-5 investor immigration. Before joining I.A. Donoso & Associates, LLC, he was an associate attorney at WMR Immigration Law Group in Washington, D.C. He received his B.A. from Yale University in 2007, and his J.D. from the American University Washington College of Law in 2012. He has been practicing law since 2012, and is licensed to practice in Maryland. Dennis is fluent in Spanish and speaks Portuguese. Keystone Solutions, Inc is a Midwest-based financial boutique that provides global investment banking, money management, and private capital raising services. Our team of experienced professionals and strategic partners understand the various challenges in: restructuring your current capital, finding the right capital partner and, selling or acquiring a company. Keystone also has a consulting practice to advise clients with healthcare expansion and real estate development. We focus on providing creative and thoughtful solutions to your situation.